There is evidence to show that a healthy diet prevents the development of eye conditions, although this link isn't as strong as it is for other conditions such as heart disease. However, eating a healthy balanced diet rich in fruit and vegetables may help to keep your eyes as healthy as they can be. A balanced diet is essential for staying healthy. A diet that is based on starchy foods like rice, potatoes and pasta, with plenty of fruit and vegetables, foods rich in protein such as meat, fish and pulses (for example lentils), some milk and diary and not too much fat, salt or sugar, will give you all the nutrients you need. Some of the health complications of being overweight can cause problems that can affect your sight. These include retinal vessel occlusions, diabetic eye problems and eye conditions related to stroke. You can reduce your risk of developing these conditions, which can lead to sight loss, by maintaining a healthy weight or by losing weight if you need to. Most people can get all the vitamins and minerals they need from eating a healthy and balanced diet. However, some people may be advised to take a supplement by their GP or eye specialist. At present it is felt that perhaps people who have a poor dietary intake of vitamins and minerals, for example some elderly people who may have difficulties with digestion, may benefit from taking supplements to help prevent eye conditions such as age-related macular degeneration from developing, although more research is needed to confirm this. Starchy foods such as bread, pasta and rice should make up around one third of everything you eat. Choosing wholegrain or wholemeal varieties, such as wholemeal (brown) bread, brown rice and wholewheat pasta, as well as eating the skins or jackets of potatoes, increases the amount of fibre (roughage) you eat. You should try to eat around five portions of fruit and vegetables a day, as they are a very important source of vitamins and minerals. Your five-a-day can include fresh, frozen, dried and tinned fruit and vegetables. An apple, banana or similar-sized fruit, a slice of melon or three heaped tablespoons of vegetables are all one of your five-a-day portions. The protein found in meat, fish, eggs, milk and dairy and in pulses such as beans, nuts and seeds are important for repair and growth of your body. Protein is also a good source of vitamins and minerals, such as iron, zinc and B vitamins. If you follow a vegetarian or vegan diet it is important to make sure that you eat protein from a wide range of sources. These can include pulses such as beans and lentils, non-dairy sources such as tofu and soya, as well as eggs and low fat dairy. Meat is also one of the main sources of vitamin B12 in our diets. If you eat meat, try to eat lean meat and skinless chicken to reduce the amount of fat in your diet. Fats and sugar are both sources of energy for your body, but if you eat too much of these you can put on weight leading to obesity, which increases your risk of type 2 diabetes, heart disease, stroke and some cancers. Eating a diet high in saturated fat can cause the level of LDL, or "bad" cholesterol, a type of fat, to build up in your blood over time. Raised LDL cholesterol increases your risk of heart disease and this may be the case even if you are not overweight or obese. Cutting down on foods that are high in saturated fat and instead having smaller amounts of foods that are rich in unsaturated fat is generally a good idea. Saturated fat is found in foods such as cheese, sausages, butter, cakes, biscuits and pies. Unsaturated fats can help to lower your cholesterol. These are found in foods such as oily fish, nuts and seeds, avocados and in vegetable and olive oils. It also important to cut down on added sugar in your diet. Added sugar is found in items such as cakes, fizzy drinks, chocolate and other sweet foods such as pastries and jam. There can also be hidden sugar added to some pre-prepared savoury foods such as pasta sauces and baked beans. You do not need to cut down on the natural sugars found in foods like fruit and milk. A balanced diet is important for our overall health and therefore may also be helping to keep our eyes as healthy as they can be. How your diet may affect your eye condition depends a lot on the eye condition you have been diagnosed with. Some conditions aren’t affected by nutrition at all, whereas there is evidence that for some conditions, nutrition may be important. The following information is based on individual eye conditions. Diabetes occurs when there is a problem with your insulin. Insulin is the hormone that allows the glucose in your blood, from the food you eat, to enter your body’s cells to be used as energy. Type1 diabetes is the less common form of diabetes and is not linked to being overweight. If you have type1 diabetes you are not able to produce insulin. Type1 diabetes is also sometimes called juvenile or early-onset diabetes. This is because it often starts before the age of 40, usually when you are a teenager. There is nothing you can do to prevent developing type1 diabetes. However, it is important if you have this condition to keep your blood glucose at the target levels set with your diabetic nurse or doctor to prevent health problems, including the complications involving your eyes developing later in life. Ninety percent of people diagnosed with diabetes in the UK have type 2 diabetes, also called adult onset diabetes. This is where your body does not produce enough insulin to function properly, or you become insulin resistant. This means your body no longer reacts to the insulin you are producing. Being overweight is known to be a significant risk factor for developing type 2 diabetes. 80 percent of people with diabetes are overweight when they are diagnosed. Maintaining a healthy weight can reduce your risk of developing type 2 diabetes. Diabetes can affect your eyes in a number of ways. Changing levels of blood sugar (glucose) can cause your vision to become temporarily blurry and in the longer term, this can cause you to develop cataracts earlier. One of the serious complications of diabetes is retinopathy, which causes damage to the tiny blood vessels in the retina. Sometimes this can also lead to the growth of new blood vessels, which leak blood or fluid. When this happens at the macula area, the middle of the retina, these fluids cause the macula to swell. This swelling is known as macular oedema. The macula gives us the detailed vision we rely on for activities such as reading and recognising faces. 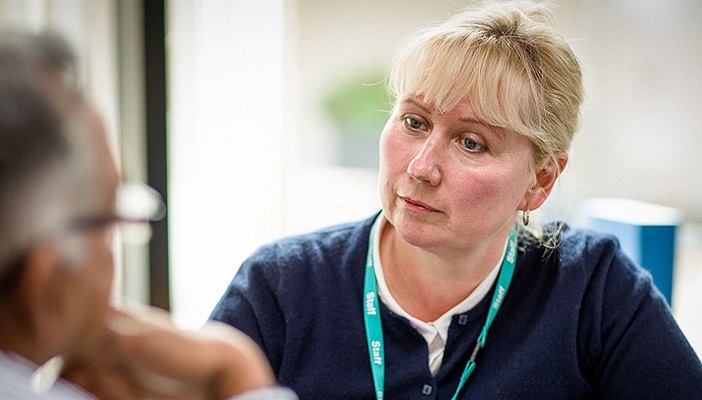 Macular oedema can cause problems with your sight including distortion or a blank patch in the middle of your vision and can make activities such as reading difficult. Changes to the blood vessels at the back of the eye due to diabetes can also for some people cause significant sight loss. A large scale trial, the UK Prospective Diabetes Study (UKPDS) showed that complications of type 2 diabetes, including retinopathy, could be delayed or even prevented by good blood glucose and blood pressure control. Good glucose control from diagnosis onwards has been shown to decrease the risks of diabetic retinopathy and other diabetic complications in the long term. Having high blood pressure (hypertension) puts extra strain on your heart and blood vessels. This means that you are at greater risk of heart disease, stroke, kidney problems as well as putting stress on your blood vessels. Many people with type 2 diabetes also have high blood pressure. It is important that your blood pressure is reduced and controlled. This will help to reduce the risk of developing diabetic retinopathy. Having a high level of bad LDL cholesterol in your blood from a diet which is high fat is known as "hyperlipidemia". High cholesterol itself does not cause any symptoms, but it does increase your risk of developing serious health conditions, including heart attack and stroke and this risk is increased if you are diabetic. If you are diabetic, have high blood pressure and are obese then you might be described as having "metabolic syndrome". This combination of diabetes, obesity, high blood pressure, high cholesterol and a high level of triglycerides, a type of fat (lipid) in your blood, is particularly dangerous, putting you at greater risk of heart disease, stroke and other conditions which affect the blood vessels. Having a healthy diet and losing weight helps to reduce your risk of developing diabetes. If you are already diagnosed, monitoring your diet and weight, as well as controlling your blood glucose levels, blood pressure, cholesterol and triglyceride levels will help to prevent you developing complications of diabetes including those which can affect your sight. At the moment there is no evidence that taking nutritional supplements such as vitamins and micronutrients can prevent diabetes or complications related to diabetes from developing or progressing. Age-related macular degeneration (AMD) is a condition which mainly occurs in older people. In AMD, the cells of your macula, the central part of the retina, stop working, causing a deterioration of central vision. This is the sight we use for detailed tasks such as reading and recognising faces. There are two types of AMD; “dry” and “wet”. In the dry type, the cells at your macula slowly stop working correctly and in the wet type, the cells stop working and the eye tries to fix this problem by growing new blood vessels. However, these new vessels are weak and grow incorrectly, causing leakage, damage and scarring at the macula, affecting vision. Wet AMD is the quicker progressing form of the condition, leading to serious changes to your central vision in a short period of time. 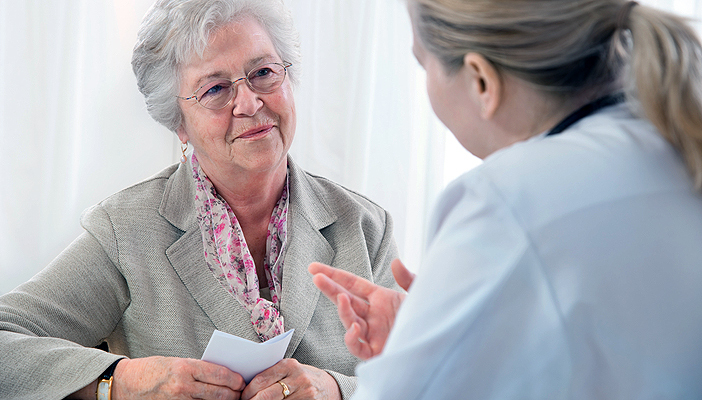 There is currently no treatment for dry AMD, but there are treatments available for wet AMD. The nutritional supplements concerned with AMD are the antioxidant vitamins A (which our bodies convert from beta-carotene in our diets), C and E, as well as the trace element zinc and the micronutrients lutein and zeaxanthin. Lutein and zeaxanthin are naturally found as pigments in the macula. It is thought that antioxidants are helpful in AMD because of the "free radical" theory of cell damage. This is that over your lifetime, free radicals, highly reactive substances created in your body by breathing, eating and by other factors such as air pollution and smoking tobacco, cause damage to the cells in your body. This is the "wear and tear" we call ageing. Antioxidants are thought to help by "mopping up" these free radicals, to delay or prevent them from damaging your cells. Research into supplements for AMD has therefore looked at whether or not antioxidants can help to protect the macula from these age-related changes. Two recent large scale studies carried out in America called the Age Related Eye Disease Studies (AREDS and AREDS2) explored the role of these antioxidants in slowing down the progression of AMD in people already diagnosed with the condition. AREDS and AREDS2 found that for some people with AMD, taking an antioxidant formula did slow down the progression of their condition. See our nutritional supplements for AMD page for more information about this. The most common type of cataract occurs as you get older. Cataracts develop because as you age the lens of your eye changes in response to the natural ageing process. This means that your once clear lens becomes cloudy. Although getting older is the strongest risk factor for developing a cataract, some studies have shown that a healthy diet rich in antioxidant containing foods may decrease the risk of developing cataracts. Other studies seem to show that taking some vitamins and minerals may be protective against developing cataracts. However, at present evidence is varied and there are currently no clear answers regarding diet and supplements to prevent age-related cataracts. Therefore, it may be the case that a healthy diet rich in antioxidant containing foods such as fruits and vegetables, may also help prevent or slow down cataracts, as well as being beneficial to our general health. Dry eye is a common condition where there may be a problem with your tears that usually keep your eyes comfortable and moist. Clinical trials have shown that omega 3, a group of fatty acids that we get from our diets, can have a positive effect on the symptoms of dry eye when taken in certain quantities. Omega 3 can be obtained from our diet by eating oily fish such as anchovies, herring, mackerel, salmon, sardines, trout, herring and fresh tuna. The NHS recommends that we eat at least two portions of fish a week, including one of oily fish. If you do not eat fish you can also get omega 3 by eating flaxseed/linseed or rapeseed oils and soya foods such as tofu, as well as walnuts and eggs enriched with added omega 3. Taking omega 3 supplements have also been found to help with the symptoms of dry eye in some trials. However, as with all supplements these may not be suitable for everyone and if you are thinking of taking omega 3 supplements for dry eye it would be important to discuss this with your GP or ophthalmologist (eye specialist) before starting. A retinal vessel occlusion is a blockage in the blood vessels of your eye that can cause sight loss. There are two types of retinal blood vessels, arteries and veins. Both types of blood vessels can be affected by an occlusion. Arteries are the blood vessels that deliver oxygen-rich blood from your heart to the tissues of your body. The main cause of retinal artery occlusion is atherosclerosis. Atherosclerosis is a narrowing, or sometimes hardening or thinning, of your arteries. If you have atherosclerosis this means that the inside of your arteries have become smaller or sticky, making it harder for blood to flow through them. These patches of stickiness on the inside of arteries are called atherosclerotic plaques. Eventually these plaques can become large enough to cut off part or all of the blood going to your retina. If your retinal blood supply is affected in this way then you will have a retinal arterial occlusion, and may experience sight loss in the affected eye. Veins and arteries run very closely together at the back of the eye. It is thought that if someone has narrowing of their retinal arteries due to atherosclerosis, this can cause these hardened arteries to press onto the nearby veins. This can then cause problems with the blood flow through the veins, causing a blockage to occur. A blockage can then cause a retinal vein occlusion, which could also lead to sight loss in one of your eyes. Having high blood pressure, high cholesterol levels, being diabetic, smoking and being overweight can all increase the risk of atherosclerosis and of having a retinal vessel occlusion. These factors can also increase your risk of stroke, which can for some people also cause problems with vision. Having a healthy diet, low in saturated fat, losing weight and taking regular exercise as well as stopping smoking and reducing the amount of alcohol you drink can help to prevent or reverse the process of atherosclerosis, reducing your risk of retinal vessel occlusion and stroke. Retinitis Pigmentosa (RP) is the name given to a diverse group of inherited eye disorders which affect the cells at the retina, the back of the eye. It has been suggested by some research that vitamin A may have a beneficial effect for people with RP. This research has been questioned and the positive effects observed were very slight. This type of treatment is not currently being prescribed by most specialists. Taking vitamin A can have negative effects on your health and should be discussed with your GP and ophthalmologist. Other studies are investigating the benefits of mixtures of nutritional supplements which have an antioxidant effect. Refsum syndrome is one of these rare situations where RP is known to be affected by nutrition. Strictly adhering to a diet that excludes or is low in phytanic acid is beneficial in Refsum syndrome. Phytanic acid is in dairy products, beef and lamb, and fatty fish such as tuna, cod, and haddock. Ask to be referred to a dietician if it is recommended that you follow a restricted diet, so that you can be sure to get the nutrients you need. Cone-rod dystrophies and Stargardts disease are also genetic conditions which affect the cells of the retina. There is now evidence that taking large amounts of vitamin A can potentially speed up vision loss and retinal degeneration if you have recessive Stargardt's disease, cone-rod dystrophy or any other retinal condition caused by variations in the ABCA4 gene. Therefore, if you have one of these conditions and are considering taking a supplement, it would be important to discuss the risks and benefits of doing so with your specialist or GP. Eating a healthy diet and controlling your weight helps to maintain your general health, preventing conditions such as high blood pressure, type 2 diabetes, heart disease, stroke and some cancers. Taking steps to prevent these conditions as well as reducing your cholesterol and blood triglycerides can in turn help prevent you developing diabetic eye conditions, retinal vessel occlusions and eye conditions related to stroke. For people with AMD it has been shown that certain supplements can, for some, help to slow down the progression of this condition. Importantly, evidence suggests that having a diet rich in fruit and vegetables may help to keep your eyes as healthy as they can be. If you have any concerns about your diet you may want to discuss these with your GP who should be able to give you more advice about healthy eating. Some people may want to talk over some of these feelings with someone outside their circle of friends or family. 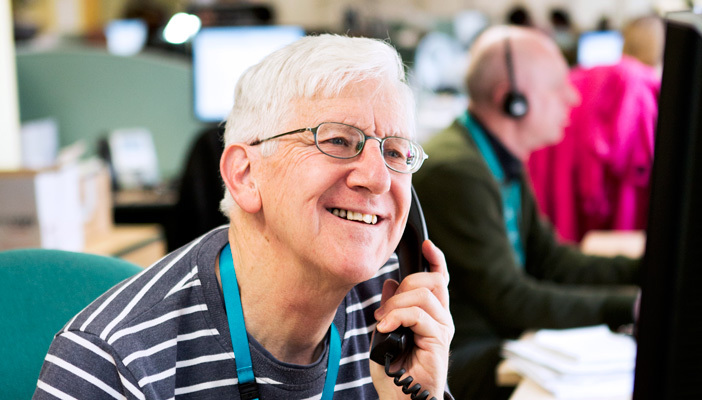 RNIB can help, with our telephone Helpline and our Emotional Support Service. Your GP or social worker may also be able to help you find a counsellor if you think this would help you. Ask your ophthalmologist, optometrist or GP about low vision aids, like a magnifier, and ask for a referral to your local low vision service. You should also ask whether you are eligible to register as sight impaired (partially sighted) or severely sight impaired (blind). Registration can act as your passport to expert help and sometimes to financial concessions. Even if you aren’t registered a lot of this support is still available to you. Local social services should also be able to offer you information on staying safe in your home and getting out and about safely. They should also be able to offer you some practical mobility training to give you more confidence when you are out. Information on healthy living on NHS Choice's Food and Diet page. give you details of support groups and services in your area. Call us on 0303 123 9999 or email [email protected], open from 8am - 8pm weekdays and 9am - 1pm Saturdays.